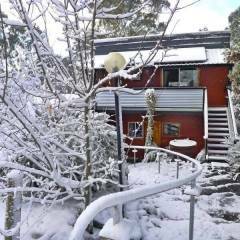 Just 2 kms from the Jindabyne town centre on the “snow side” of Jindabyne is the Panorama Hotel, acclaimed by many to be one of if not the most comfortable and convenient accommodation venues in the entire Snowy Mountains. 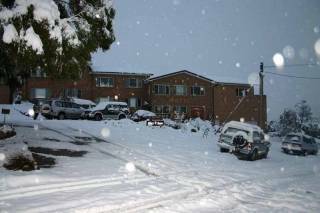 Fully self contained unit in Jindabyne. Full kitchen facilities with microwave. Lounge room with TV, video, DVD and Hi-FI. 2 bathrooms . 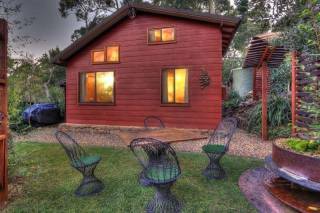 Jindabyne Cottage is a quality 3 bedroom holiday townhouse sleeping a maximum 5 people in total. Car parking for 2 cars, mountain views and is own SAUNA! 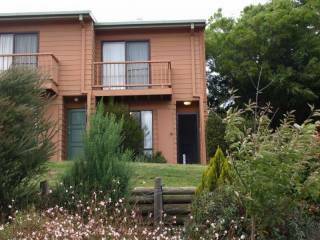 Fully self contained unit in Jindabyne. Full kitchen facilities with microwave. Lounge room with TV, video, DVD and Hi-FI. 2 bathrooms. 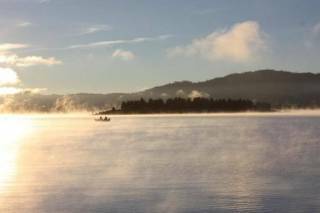 Our award winning caravan park is just two hours from Canberra and 3kms from the local township. Thirty minutes and you’re right in the Snowy Mountain ski fields. 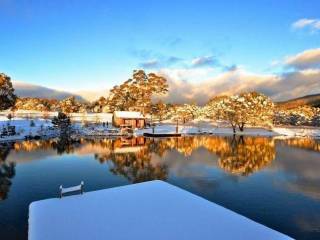 Accommodation ranges from budget backpackers to deluxe lake-view villas. 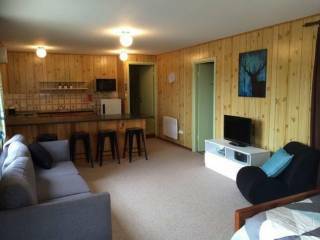 The Studio is an inviting ground floor apartment with a convenient and compact kitchen. 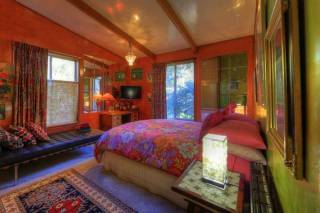 The main room has views of the bush land and newly landscaped gardens following the bushfires of 2003. The Penthouse welcomes the weary travellers or adventurers with its relaxed open plan style and comfy king size and single beds. The Penthouse has an elevated position with a verandah overlooking gardens, sculptures and bush land. 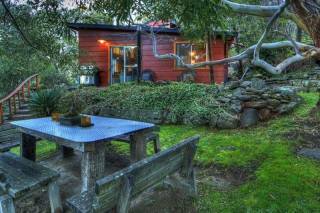 The Little House is perfect for a week or weekend getaway. 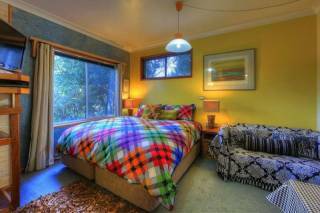 It is totally private and self contained with a bedroom, loft and bathroom. The kitchen and dining area over look the garden and separate BBQ area. There are four individually styled bedrooms within the main guest house each with access to a bright TV/ Sun room, pool table and games room and relaxed open plan living areas. Take a breath of fresh air and step back in time. 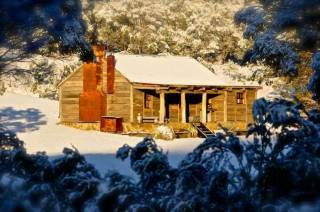 These unique stone/slab huts, located in the picturesque Moonbah Valley region (15 minutes drive from the ski resort town of Jindabyne), enjoy private frontage to the Moonbah River.